Divine Lee and husband Blake Go are expecting their second child. Their firstborn, Baz, was born on May 5, 2018. Divine Lee is 10 weeks pregnant. 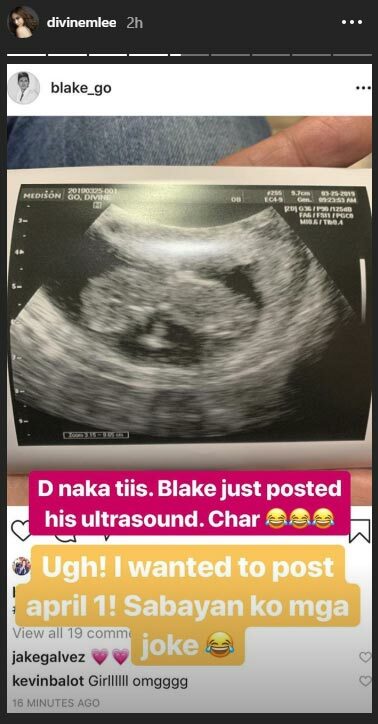 Her husband Blake Go made the announcement on Instagram earlier today, March 25. He wrote, "Round 2! Bazzy's new playmate [flying kiss emoji] #LeettleGo"
On her Instagram Stories, Divine said she intended to announce it on April 1, April Fool's Day. "Ugh! I wanted to post april 1! Sabayan ko mga joke [laughing emoji]"
Divine then revealed that her pregnancy was the reason she didn't go skiing during their recent trip to Niseko, a popular skiing destination in Japan. "Or why I don't carry Baz during his music classes. 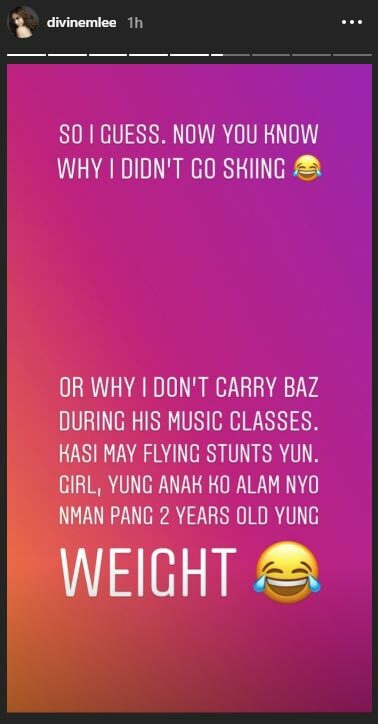 Kasi may flying stunts yun. "Girl, yung anak ko alam niyo naman pang 2 years old yung weight [laughing emoji]"
With Baby No. 2 on the way, Divine quipped that she and Blake are right on track as far as their target number of kids is concerned. They plan to have four kids by the time she turns 40. 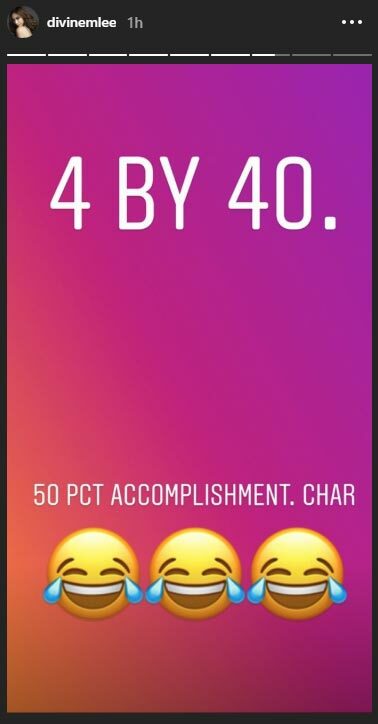 The 37-year-old mom wrote, "4 by 40. 50 pct accomplishment. Char. [three laughing emoji]"
Their son Basquiat—aka Baz or Bazzy—was born on May 5, 2018.